In an interview, Priyanka Chopra Jonas recently said she has been straddling the world and is on a ride to victory. We couldn't agree more! The superstar added another feather to her cap by getting named as one of the 50 most powerful women in entertainment by USA Today. The list recognizes women who have redefined the entertainment industry and made a significant contribution in their respective fields. After this achievement, Priyanka will now rub shoulders with the likes of media mogul Oprah Winfrey, Oscar-winning actress Meryl Streep, singer Beyoncé, talk show host Ellen De Generes, and actresses like Jennifer Lawrence, Tina Fey, Nicole Kidman and Reese Witherspoon. How remarkable is this? Way to go, PeeCee! Talking about her achievement, Priyanka told a local daily, "For me, power is simply an energy that empowers me to do what I love. It’s the ability to open doors, and turn my dreams into a reality of what I was destined to do. I feel privileged to share this platform with these amazing women who have each pushed through their own challenges and created their own realities and today stand shoulders above everyone in their chosen careers. It does give one a feeling of achievement." Big thanks to @variety for including me in your #Variety500 for the second year in a row! What makes this one extra special is the little name right above mine... @purplepebblepictures. Stories are at the heart of everything we do, regardless of genre or language, and it's a wonderful feeling to know we're on the right path. This would not be possible without my team, and most importantly, my incredible partner and co-founder, @madhumalati. Feels like miles to go, but truly grateful for every step we take. On the work front, Priyanka will be seen in The Sky Is Pink opposite Farhan Akhtar and Zaira Hussain. The film is due to release in October 2019. 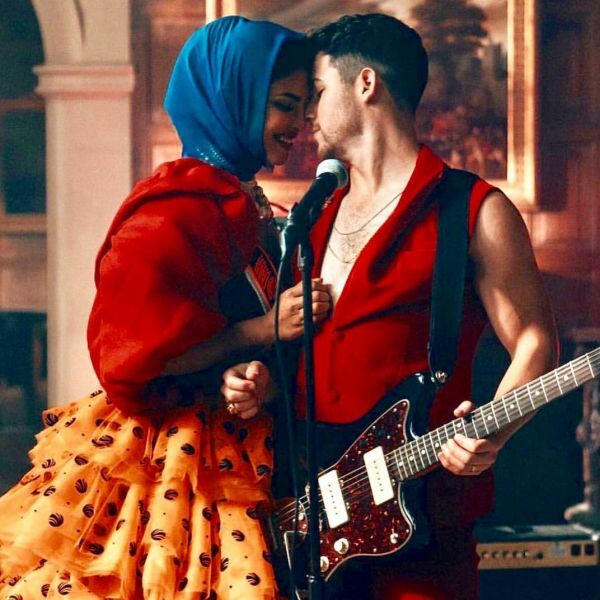 The actress recently featured in husband Nick Jonas' music video Sucker, which rocketed to the top of the Billboard Hot 100 songs chart (dated March 16). A source close to the actress shared that after her marriage to Nick, Priyanka has been going through a great phase, both personally as well as professionally.